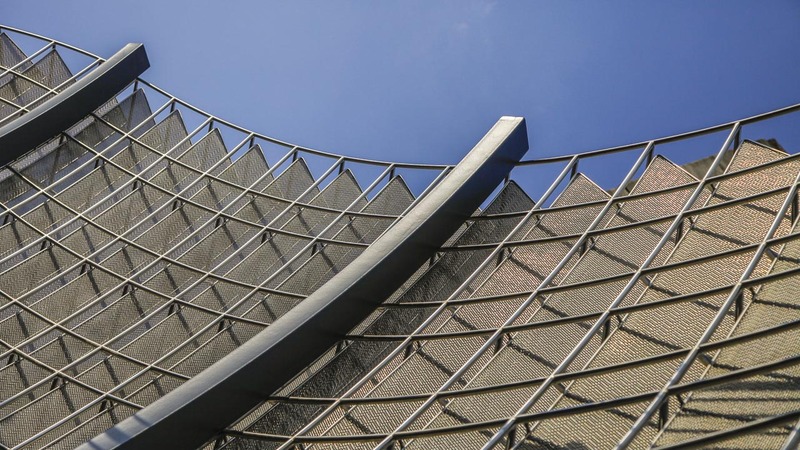 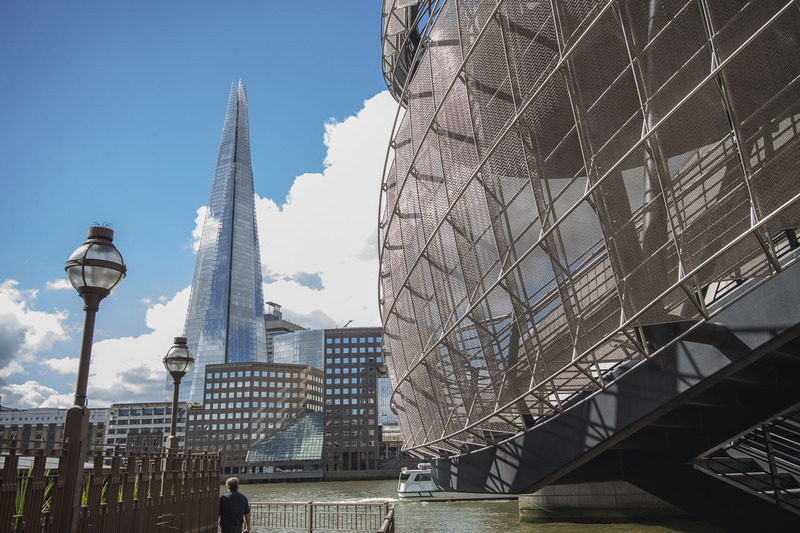 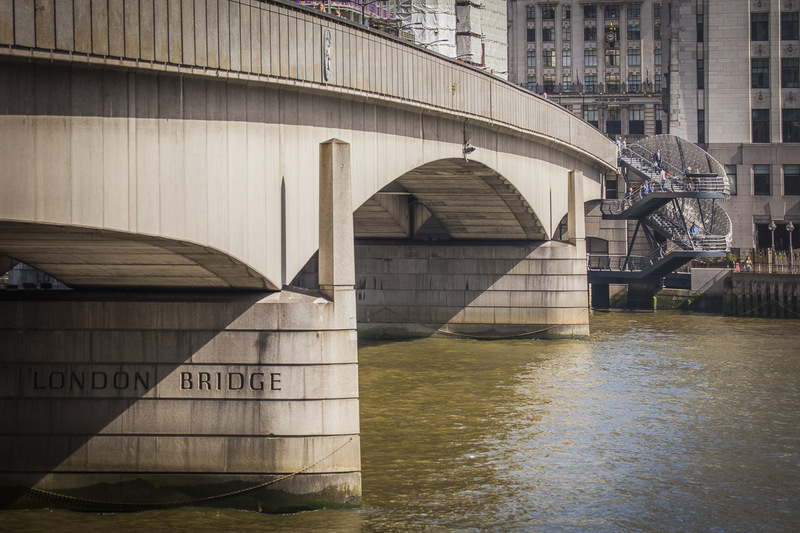 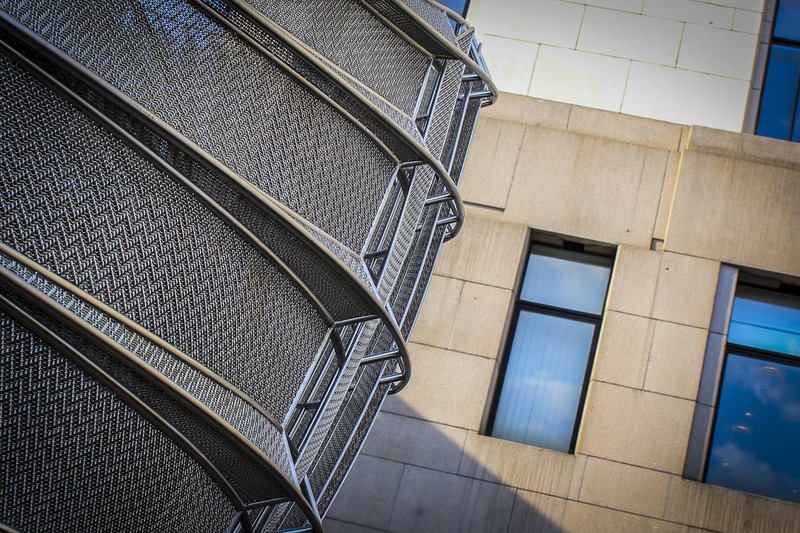 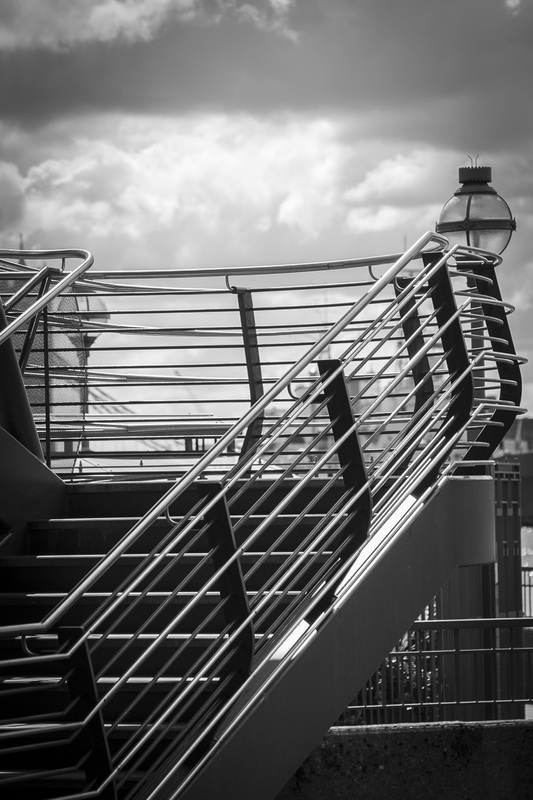 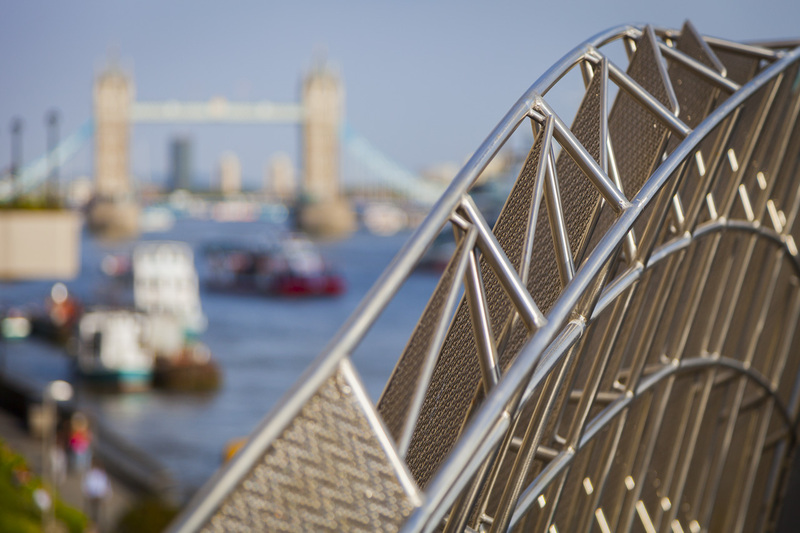 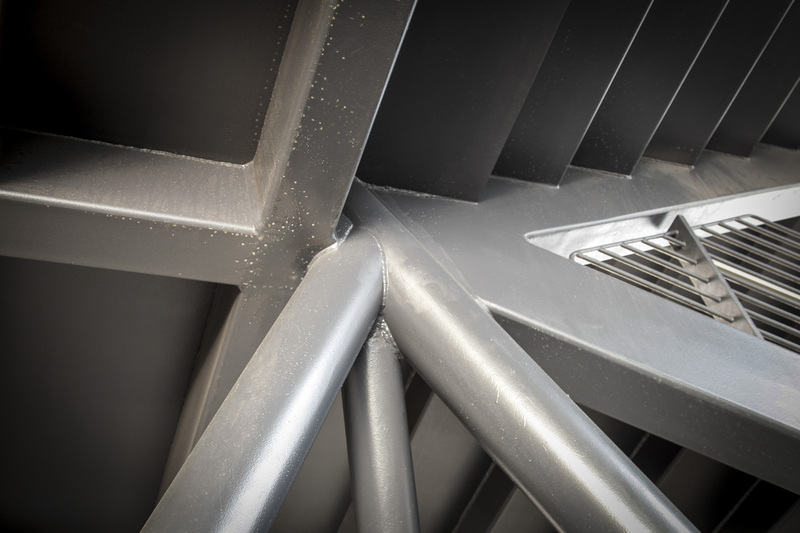 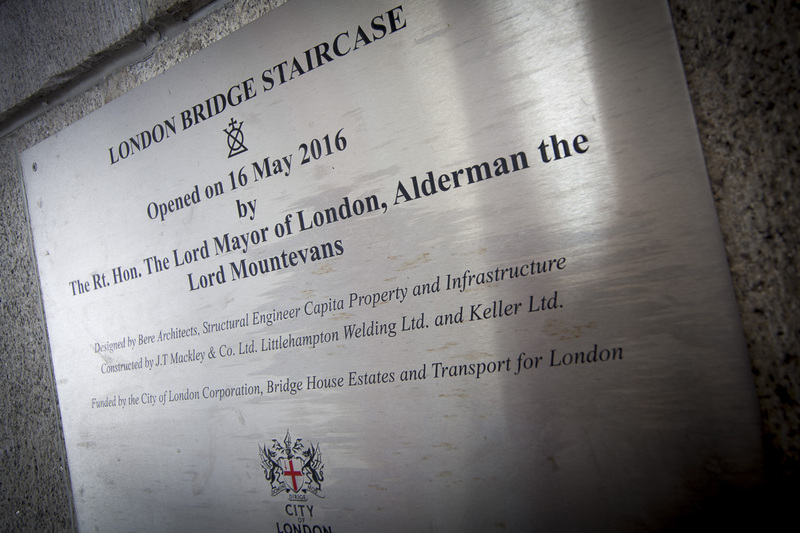 The new London Bridge pedestrian stairway, fabrication and installed by Littlehampton Welding Ltd, connects London Bridge to the public walkway along the Thames. 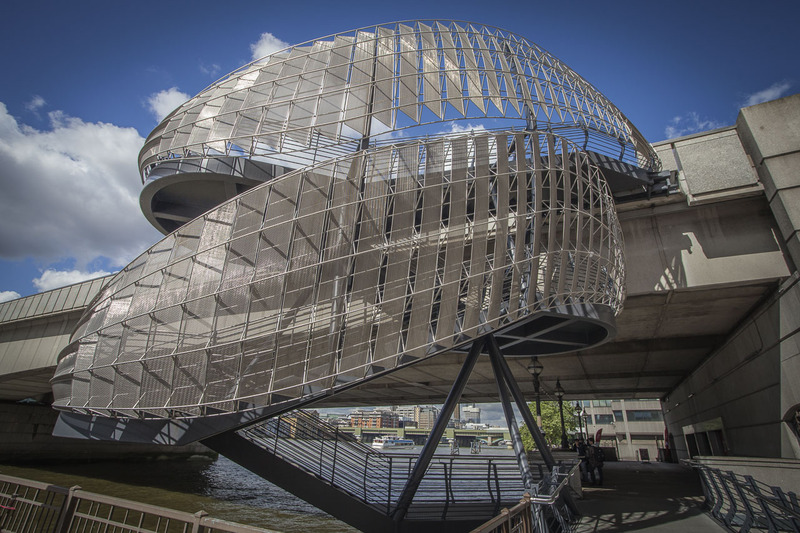 The structure was produced as part of the City of London’s Riverside Walk Enhancement Strategy, making the walkway more environmentally friendly, popular, and better connected to the area. 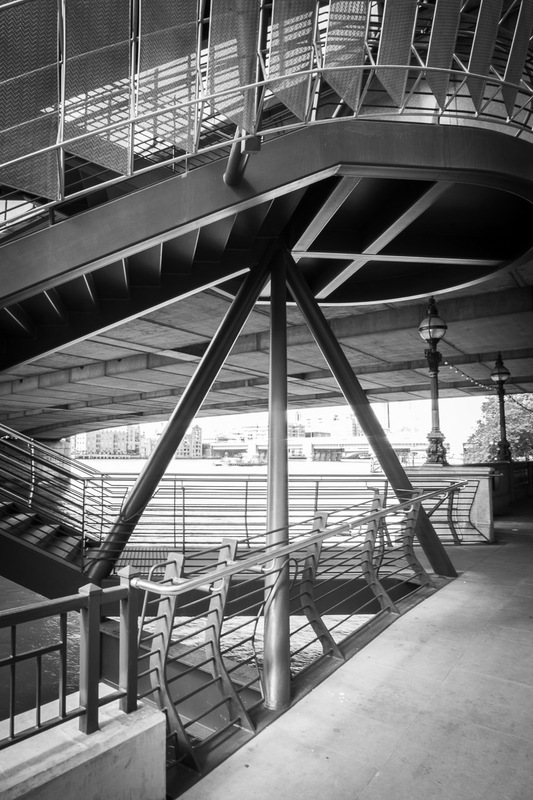 The stairway that was previously positioned where the new one stands, could not be seen clearly from street level or the riverside, was dark, recessed, and attracted antisocial behaviour. 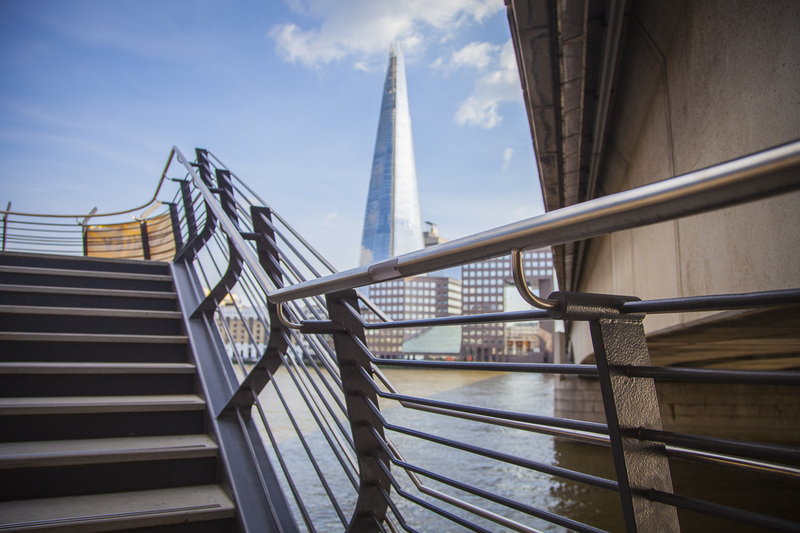 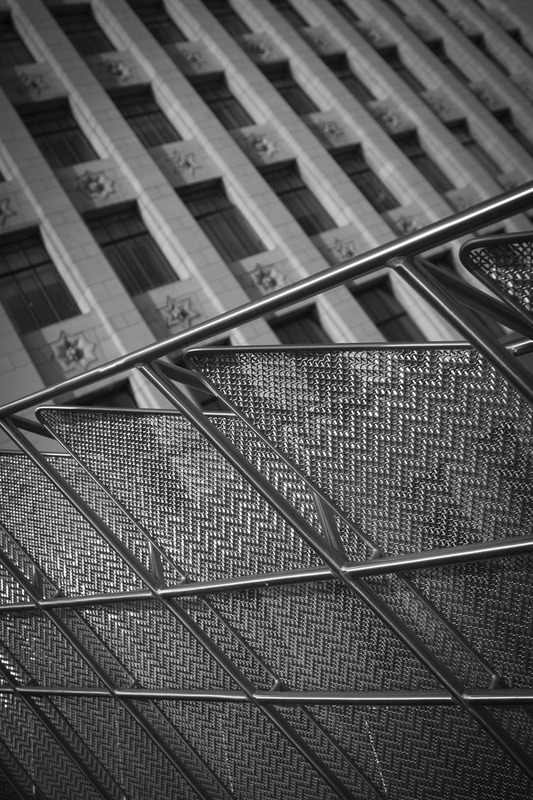 The new London Bridge pedestrian stairway is a modern design and features LED lighting in the handrail, a stainless steel sculptural screen, and a York stone base. 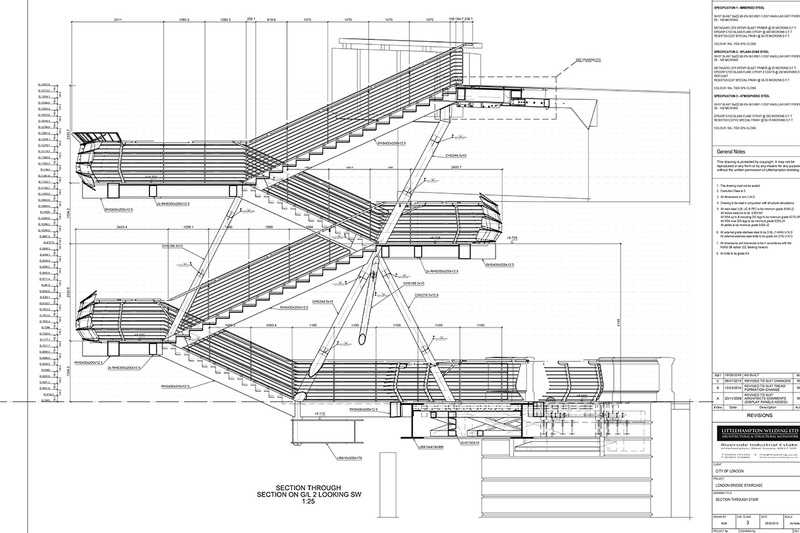 The staircase is highly visible from both the bridge and Riverside Walk which will discourage antisocial behaviour. 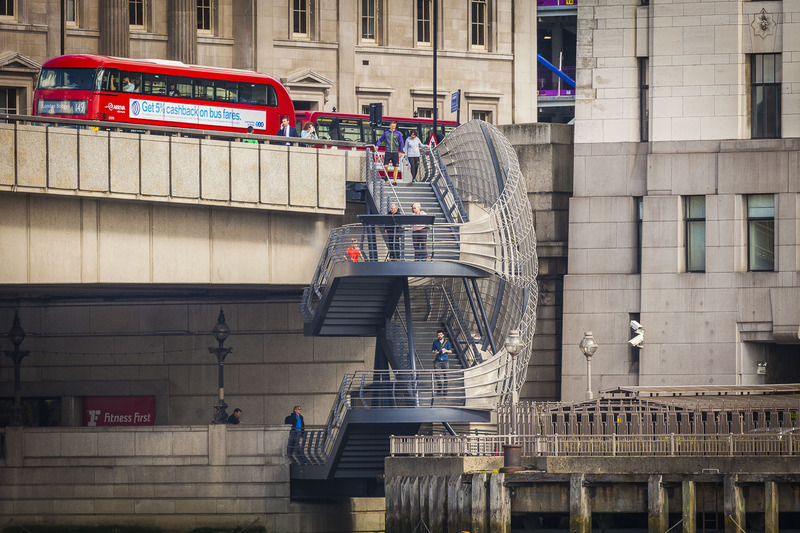 The London Bridge pedestrian stairway also provides a raised viewing platform suspended over the water, so that pedestrians can enjoy views over the River Thames. 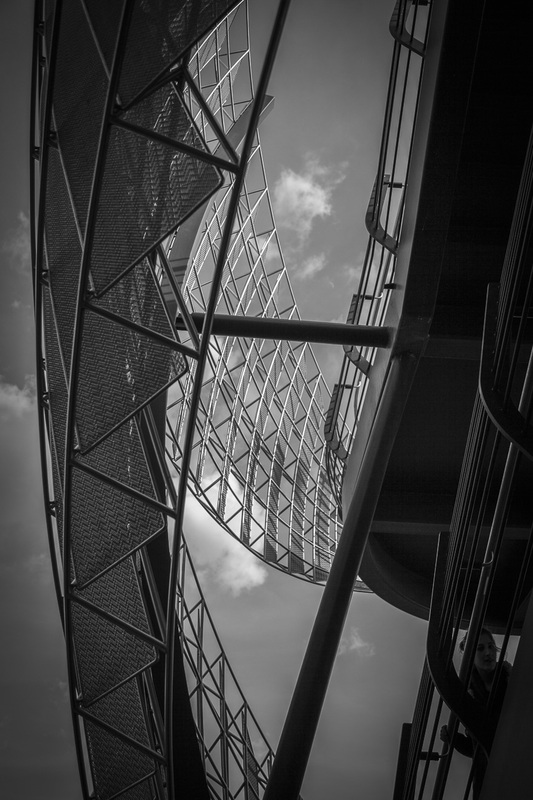 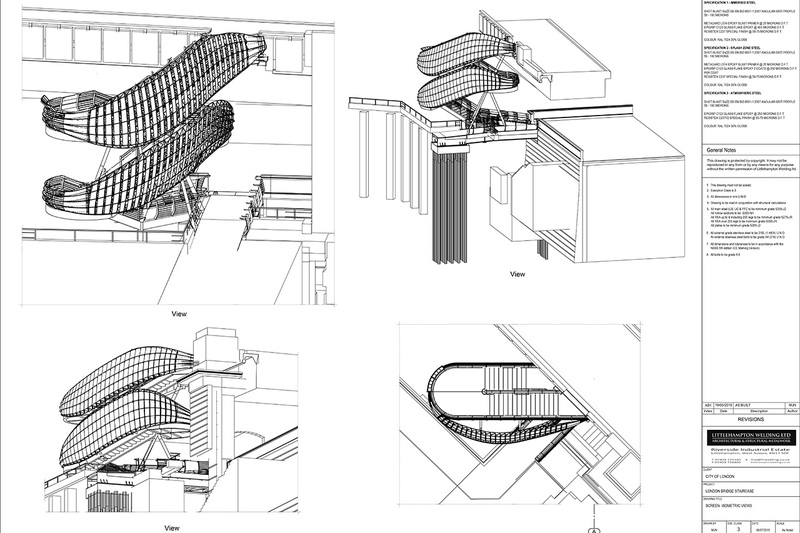 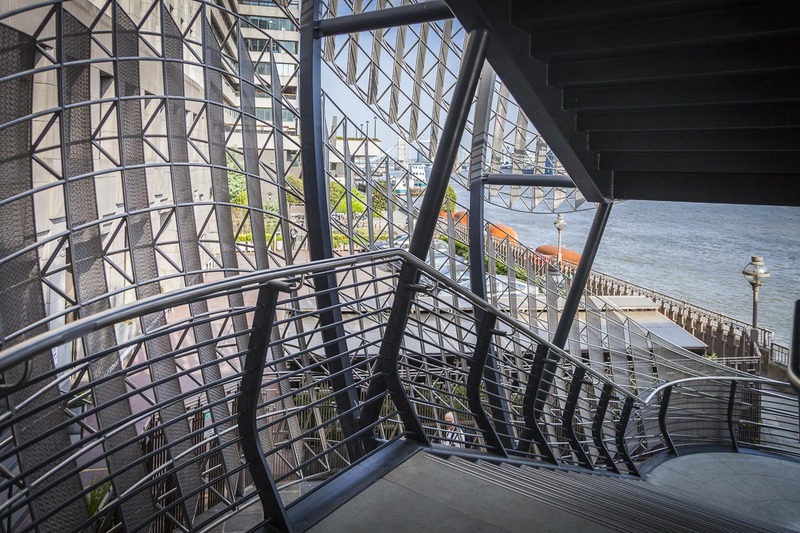 The staircase starts from the River Thames walkway and rises four flights up to London Bridge, with three half landings, circular support columns and has two stainless steel sail like screens around the outside. 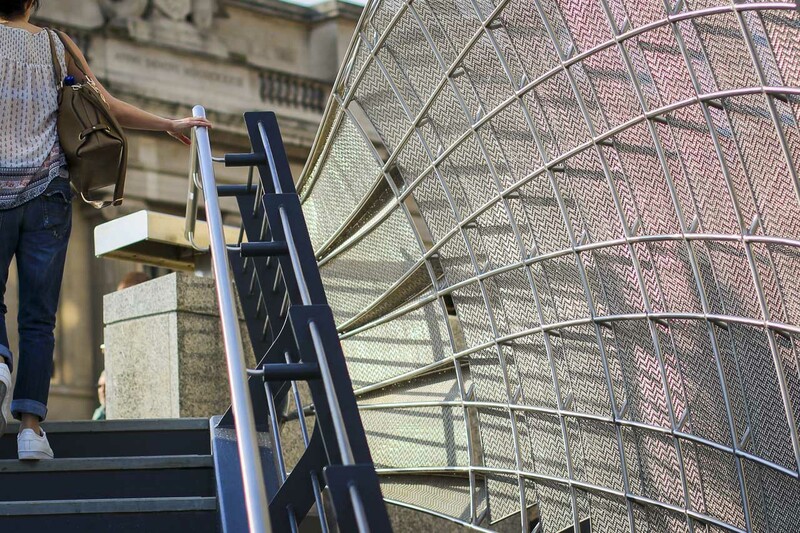 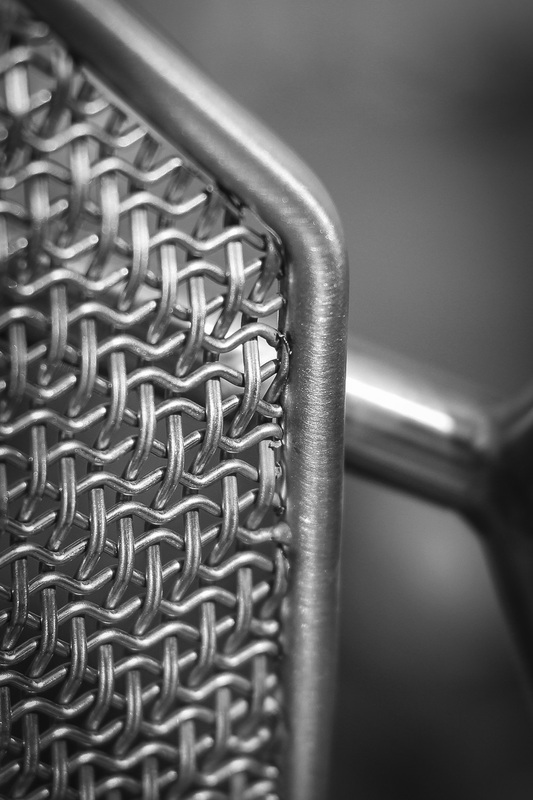 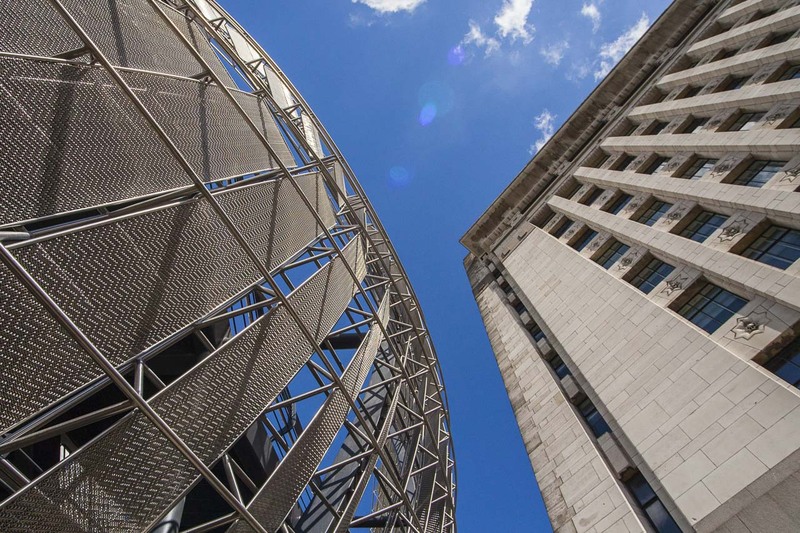 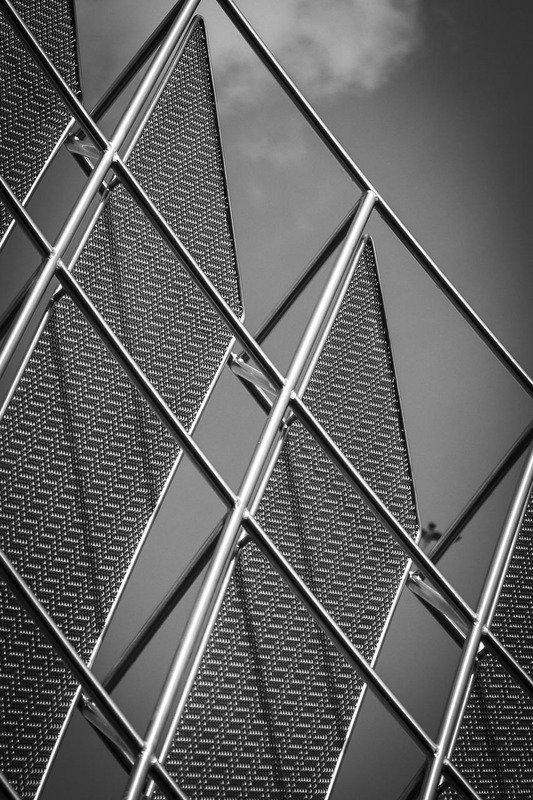 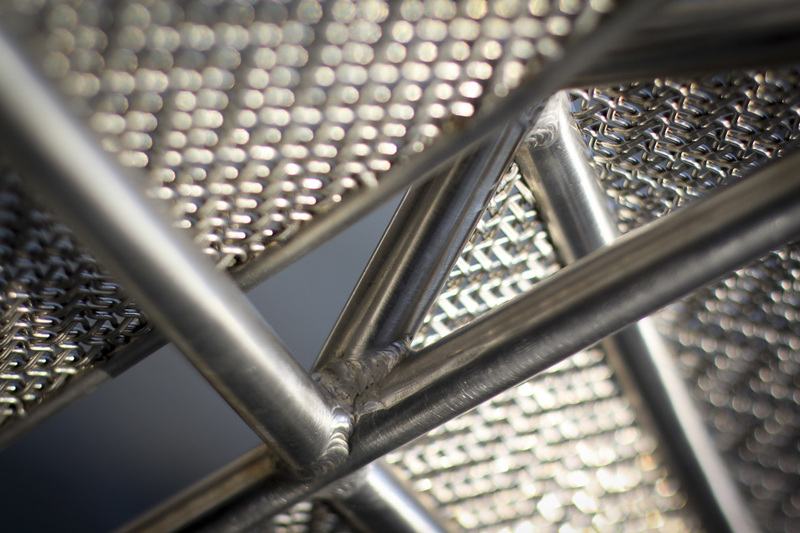 The two stainless steel screens have been fabricated from 20mm diameter solid stainless steel bars, and form a mesh Locker Group / Potter and Soar St James pattern. 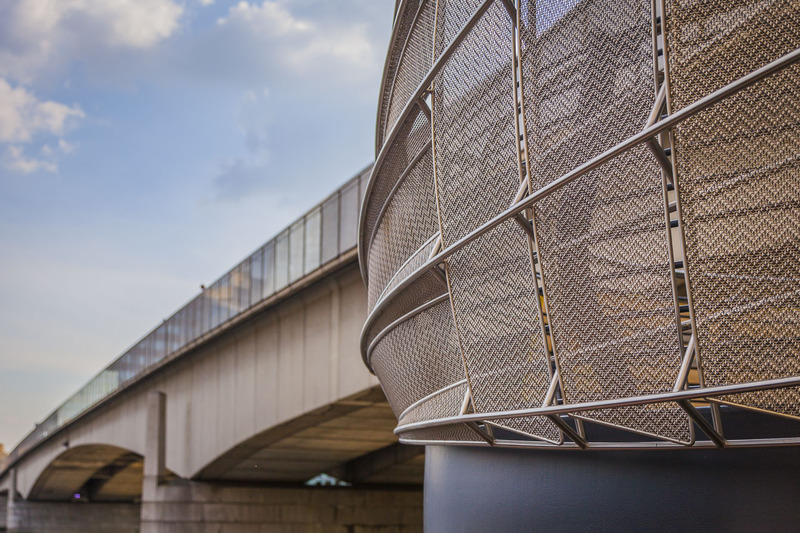 The mesh panels are angled to open up views to the river while obscuring views to adjacent buildings, protecting the privacy of the nearby offices. 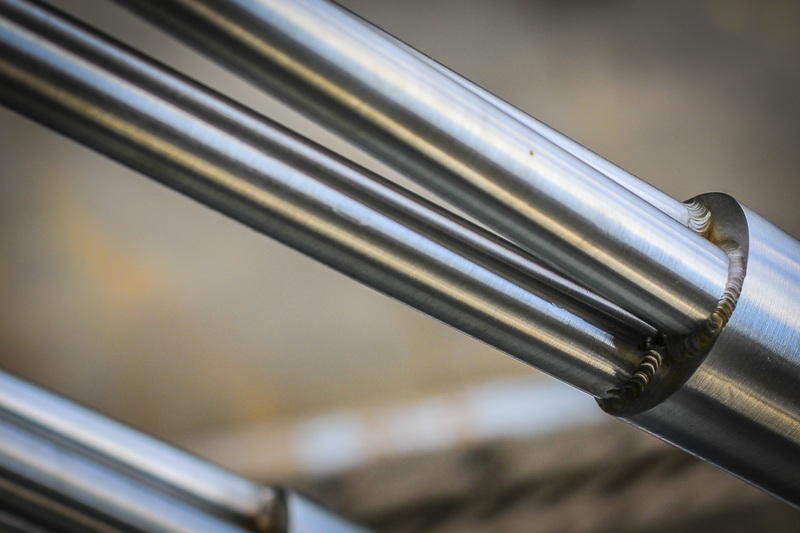 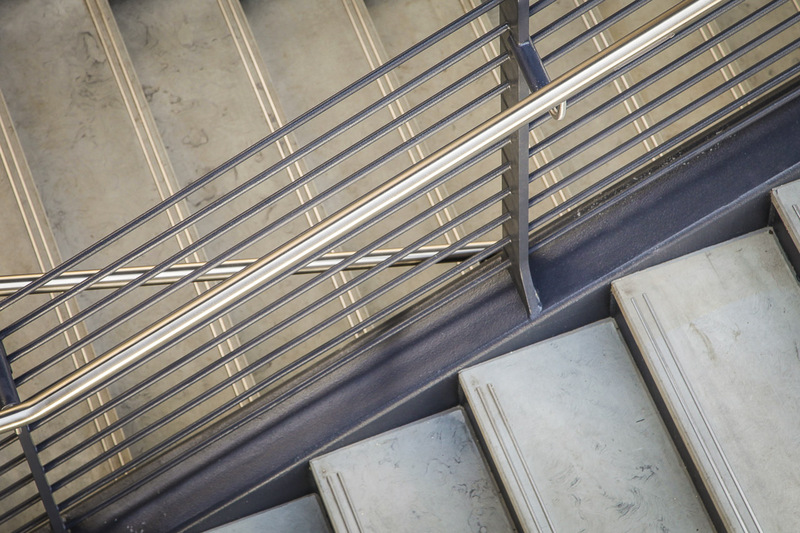 The balustrade is fabricated from mild steel, the handrails are circular hollow section stainless steel, and the step are lit by units located in the underside of the handrails that have a central battery backup system.